Mumbai, 27 February 2017: The life of Hashuji Advani, philanthropist and founder of Vivekanand Education Society (VES), is an ode to attaining the true ideals of the teachings of Swami Vivekanand, on whose teachings stands the foundation of this mighty institution, said Maharashtra Revenue & Public Works Minister Shri Chandrakant Patil. 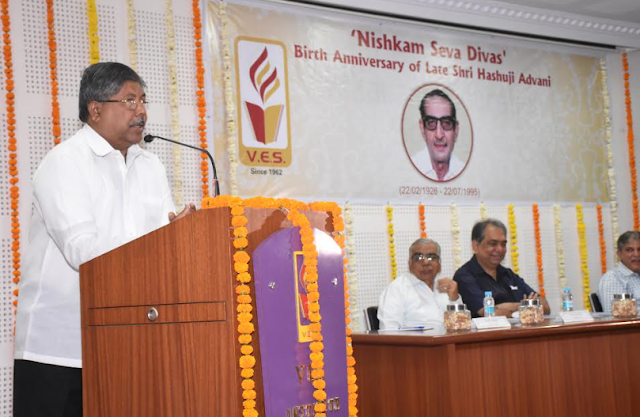 The Minister was speaking at an event organized in Vivekanand Education Society’s Institute of Technology (VESIT) to commemorate the 91st birth anniversary of Hashuji Advani, observed as “Nishkam Seva Divas”. “Hashuji was a saint. Putting the welfare and well-being of others before self, his life was dedicated to the service of the weaker sections of society. Though he was an active member of Akhil Bhartiya Vidyarthi Parishad (ABVP) since 1946 and served as a Corporator, MLA and a Minister, he remained a simple man at heart, bereft of any political ambition and desire for power. 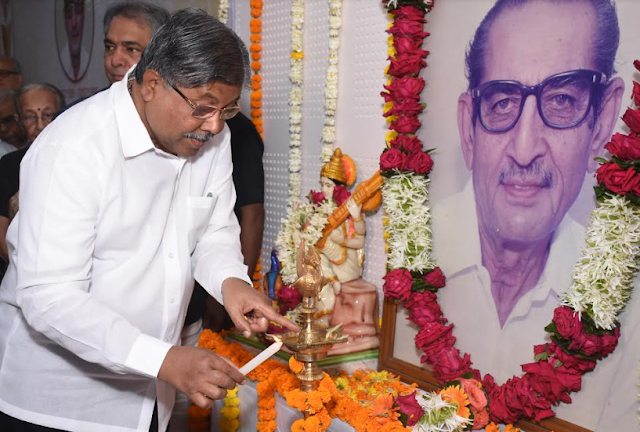 Moulding himself in the teachings of Swami Vivekanand, he sowed the seed for VES around 5 decades back which has blossomed into a huge institution today, having diverse degree courses and training programs with over 25,000 students on the rolls of more than 22 colleges,” stated Shri Chandrakant Patil.